The game has been designed around the protagonist of the story, Kent, who has been a subject of a secret military experiment involving bio-weapons. However, his escape has caused havoc due to an outbreak of zombies. To cope up with this challenge, the government has come up with a special investigation squad called the Undead Special Task Force (USTF). The motto of this particular task force is to capture the targeted subjects alive. The player has to play the role of a commanding officer of the USTF with the mission of saving mankind from the hands of such bio-weapons. 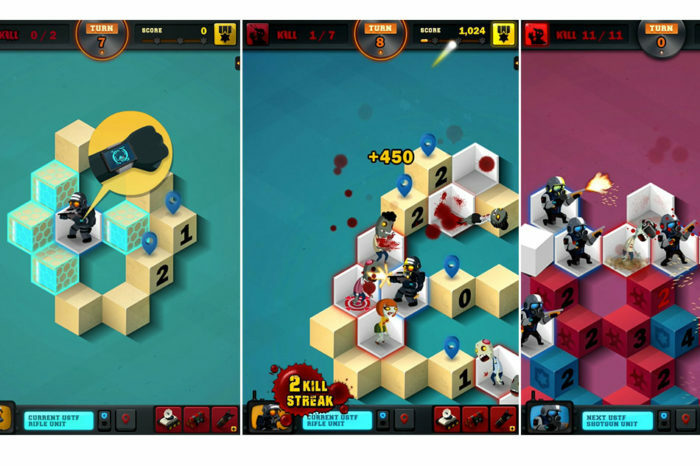 Zombie Sweeper is a puzzle game belonging to the genre of the well-known Microsoft game Minesweeper. The game has been made free to the public. In this game, you have to find out and sweep specific objects as the different objectives demands. The game is beautifully designed with 250 levels to cross, more than 40 different kinds of zombies to kill and a total of 9 bosses to defeat. The player has the option to play on a single-player mode; multiplayer mode has also been associated with this particular game which enables the player to compete out and rank with friends. The best feature about this game is that the strikes are tacky and stress relieving. Playing the game itself is a soothing experience where the player can control the pace of the game according to his or her will. It is filled with laid-back action, and the game can be paused and resumed at any stage. This game does not require a stable internet connection to support it, thus allowing the game to be played offline as well. This gives the player a total control on this addictive option of stress-relief. The game has been designed for all age groups with several levels and options. It is especially recommended for players who love zombies. The graphics are exquisite giving a feeling of creepiness. People who have a taste for puzzle games or action games can also enjoy it thoroughly. In addition, the game has come with attractive, never-seen-before features that become an immediate attraction for people who are looking for something new and fresh. After a tiring day, people normally look for rest or do something that relieves their tiredness. This game has been designed in such a way that it stands up for this particular purpose as well. It does not require too much of adrenaline rush, so the person can simply relax and enjoy its features. Moreover, the game is filled with short levels and associated side objectives, allowing the player to complete those in between the busy schedules of his or her work. The first look of the game might have some similarity to other games like Minesweeper and Candy Crush. The way one need to locate the zombies in this particular game is to deduce its position from a number; making it somewhat akin to the technique of Minesweeper. Moreover, having a mission at each stage and finishing a chapter with a boss stage makes it analogous to Candy Crush. However, a supporting storyline and several exciting levels based on puzzles build up to the uniqueness of the game. According to one of the spokesperson, Zombie Sweeper starts off easily but addiction starts to build up as the game progresses. The higher level requires ample skills, making it apt for adventurous gamers who thrive for such options. The company is run by Mr. Scott Thomas single-handedly. According to him, the task of developing such intriguing game is itself exciting although challenging. According to him, sometimes he can associate himself with one of the zombie characters of his game. His intense dedication and hard work have paid off in the form of Zombie Sweeper which is ready to rake in the moolahs upon its release in August-September 2017. Zombie Sweeper has been one of the most awaiting games of the year 2017 with several players looking forward to having a lifetime experience with the game. For more information about the game, one can look up to the site www.arcgamestudio.com.